ShipStation is a fulfillment platform that enables business owners to import and manage their orders. It is compatible with popular payment gateways and integrates with many shopping cart apps and major marketplaces. In this article, we cover user reviews and pricing. Ready to try ShipStation? Get a free trial. 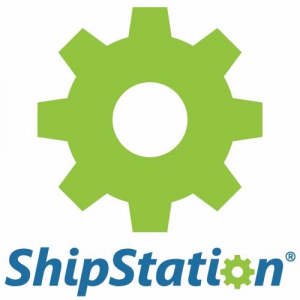 Users who gave ShipStation a positive review like that the software helped them save time they spend on every order. Others commended it for being user-friendly and less expensive than similar applications. As of the date this article was written (11/07/18), there are not a lot of negative ShipStation reviews online. However, some users complained that their support team takes a while to respond to their concerns. It is notable though that despite their slow response, users are satisfied with the help that they receive. ShipStation has six pricing options: Starter ($9/month), Bronze ($29/month), Silver ($49/month), Gold ($69/month), Platinum ($99/month), and Enterprise ($159/month). The main differences between the plans are the numbers of users and shipments per month, the customization options, and the level of support included in each plan. Ready to try ShipStation? Get a free trial. Order Fulfillment Services: Who’s The Best Fulfillment Company? — In this guide, we compared the services of four fulfillment companies: ShipStation, FulfillmentCompanies.net, Red Stag, and Fulfillment by Amazon. Read on to find out how to assess your business’ fulfillment needs to find the right fit. Users of ShipStation include freelancers, small and medium-sized companies, large enterprises, and other eCommerce businesses. What level of support does ShipStation offer? ShipStation’s support varies depending on the plan you are subscribed to. Users subscribed to the Starter plan are provided with email and online support, while the more advanced plans have access to dedicated phone and online support. Not sure if ShipStation is the right fit for you? Read our reviews of all top order fulfillment services. It appears that this is the best solution for Shopify right now. It works generally as one would expect. I don’t know that my choice would have been different, but i wish I’d have known about their lack of responsiveness to customer feedback. Their customer service does respond quickly when we need help. I have found that it is a fairly easy platform to understand and implement. We moved from a non cloud shipping company and found that the cloud based platform made our shipping process so much easier and with less down time. Our previous company also cost a significant more for us to use. We saved money and things became easier for us. The only downfall I have really found is that the ability to get changes made or new features typically involves your problem/issue receiving more votes than other people’s issues. They have great customer service as far as getting responses to you quickly. Their support resources and help documentation are fairly extensive and make things easy to do. Pretty much if you can’t find it in the resources, it can’t be done. I approve of everything they have done for us. We have found that if we want to generate another invoice for a customer we can create another template for a packing slip that includes all of the information that we need for them. This program works seamlessly with my Ecwid website. Once orders are placed, they sync with ShipStation and I can print labels effortlessly and with a discount from regular retail prices. And at $9 per month, it’s definitely cheaper than using Stamps.com. Save money and try out ShipStation. You can get a free 30 day trial so there is no risk. Wish that it would work with my Etsy site too. It’s a bit difficult to use if you are trying to ship a package that wasn’t an order thru your website. But I have found a way around that and it is doable. I use ShipStation to manage all of my marketplaces, including Amazon, two ebay accounts, and walmart. ShipStation makes it a cinch for me to assign orders to each CSR and add tags for things like where it should ship from (here, a distributor, the manufacturer…), orders that I want a delivery signature for, orders that require some sort of follow-up, prior to shipping, etc.. The tags are probably my favorite feature, because I can sort on them or get a quick visual on the orders, by tag. We also use the comment fields for things like customer numbers, order numbers, and PO numbers. Because we can set up views for different users and scenarios, we can even use these fields to see which orders have been handled or not and how. ShipStation also has great customer service for the times when you get stuck and need some help. They respond very quickly and at no extra cost. That help is available for all user levels, even if you only have a single seat. ShipStation does just about everything well. They do have a new version coming out soon and I tried the Beta and was not knocked out by it. It’s been a couple months, though, and I am hoping they have fixed a lot of the bugs. Some of the UI changes were counter-intuitive and actually made it more difficult to use. I really don’t have any regrets, so the only thing I wish I had known is that they existed and could help me run my business, sooner! This company does well with getting all the orders from various channels into one location that you can fulfill and ship out. This makes it so much easier to run your online business or even a physical location that ships out because it can be easy to miss orders if you need to go to each channel to get the orders. It seems as though ShipStation is mostly transparent about what they are offering. If you are looking for something to work with a larger business, you may want to look elsewhere. But, for a small business like I use it for, it worked very well. Just wish it had a little better interface, especially on mobile.